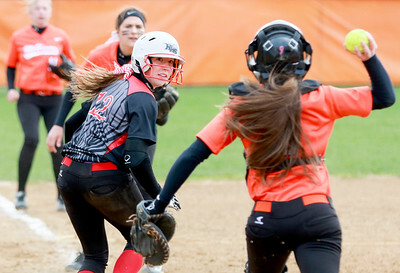 Sarah Nader- snader@shawmedia.com Huntley's Hayley O'Mara (left) throws to first while McHenry's Sophie Migacz is out at second during the fourth inning of Tuesday's game in McHenry April 21, 2015. Huntley defeated McHenry, 9-8. Sarah Nader- snader@shawmedia.com Huntley's Jessica Shields is tagged out while she runs back to third during the third inning of Tuesday's game against McHenry April 21, 2015. Huntley defeated McHenry, 9-8. 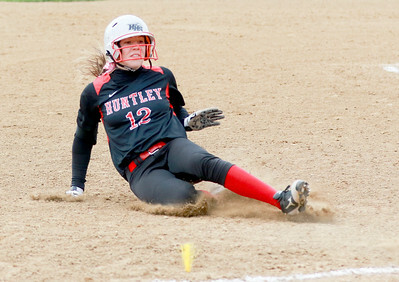 Sarah Nader- snader@shawmedia.com Huntley's Jessica Shields safely slide to third during the third inning of Tuesday's game against McHenry April 21, 2015. Huntley defeated McHenry, 9-8. 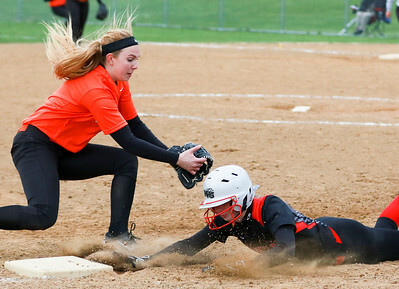 Sarah Nader- snader@shawmedia.com McHenry's Erika Breidenbach (left) waits for the ball while Huntley's Haley Spannraft slides back to third base during the fifth inning of Tuesday's game in McHenry April 21, 2015. Huntley defeated McHenry, 9-8. 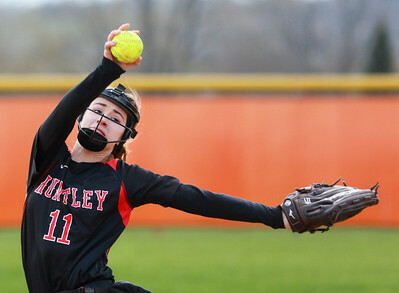 Sarah Nader- snader@shawmedia.com Huntley's Kateri Conklin pitches during the second inning of Tuesday's game against McHenry April 21, 2015. Huntley defeated McHenry, 9-8. 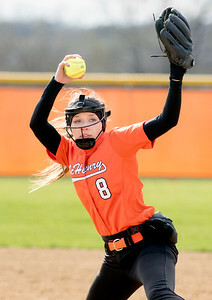 Sarah Nader- snader@shawmedia.com McHenry's Kristin Koepke pitches during Tuesday's Tuesday's game against Huntley April 21, 2015. Huntley defeated McHenry, 9-8. 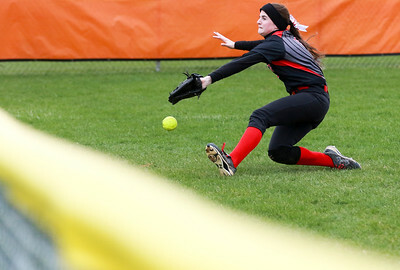 Sarah Nader- snader@shawmedia.com Huntley's Shannon Walsh goes after a ball during the second inning of Tuesday's game in McHenry April 21, 2015. Huntley defeated McHenry, 9-8. Huntley's Shannon Walsh goes after a ball during the second inning of Tuesday's game in McHenry April 21, 2015. 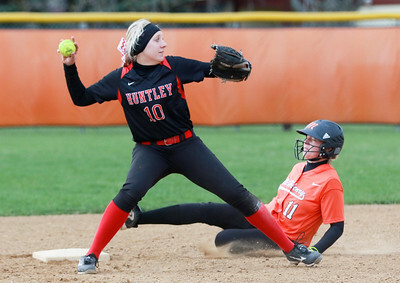 Huntley defeated McHenry, 9-8.